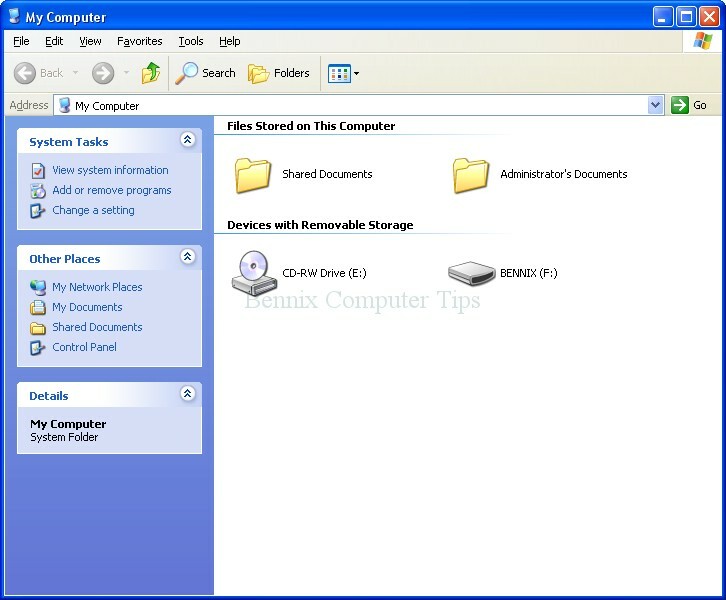 Home General Guide How to Find Hidden Files in the Internet Café? 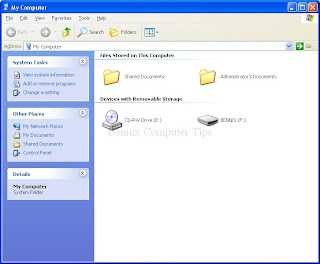 How to Find Hidden Files in the Internet Café? 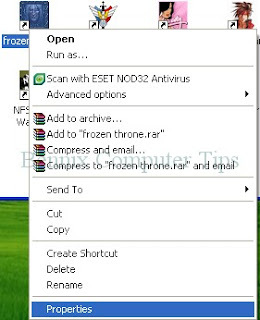 How to Find Hidden Files in the Internet Café without using any software or tampering the registry? Usually, Internet Café's strategy to protect their system and application files is to hide all drives in My Computer. If you have notice on the screenshot above,you can't see any drive except for your removable that you have inserted and you can't spot any files around.Now, consider this is a hacking tips but please do not use this guide to exploit others.I insist do not delete their files, just copy and get what you like. 1. 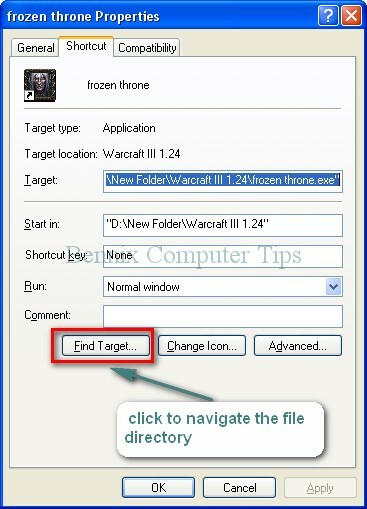 If you are looking for a game file, find any game shortcut icons in the desktop or any location. 2. 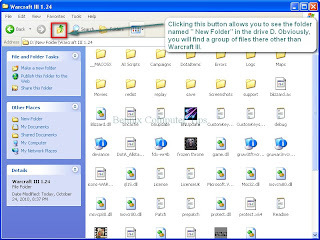 Right click on the apps icon and choose properties. ( I choose Warcraft here).A new little window will be opened. 4. 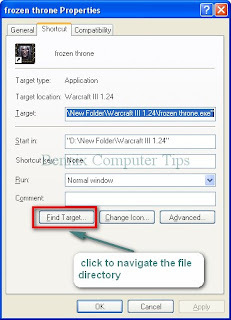 After clicking the Find Target button you will see the hidden Warcraft 3 files in our sample. 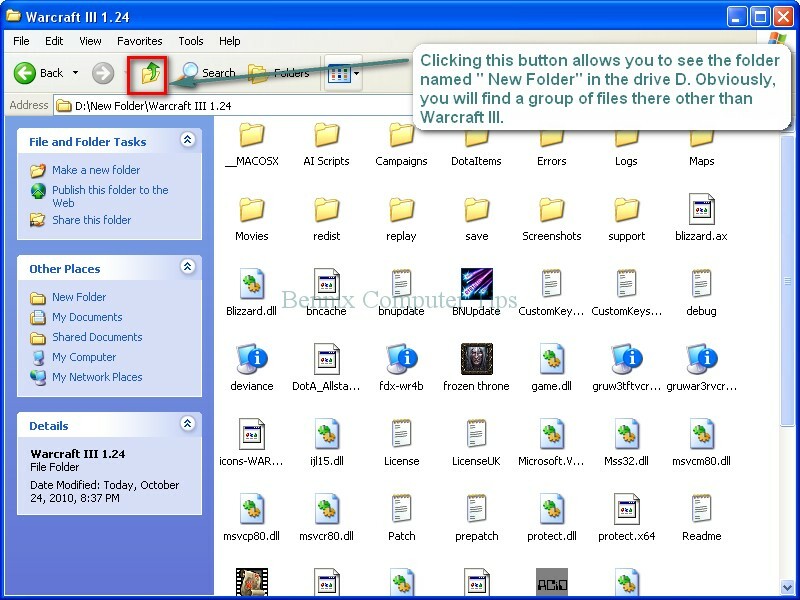 Note: You must click the UP button to see all games files in folder.